Looking for a great graduation or other gift? 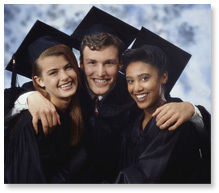 Need something special for a college, high school or career program graduate? Want a graduation gift that can be used over and over by the graduate for year’s to come? Provide realistic advice about searching for full and part-time jobs outside the major cities. Detail the online and offline job searching tools that will work in these markets. Offer tips for creating powerful resumes, looking great for job interviews and mastering both phone and in person interviews. List lots of resources that will give the job searcher the advantage in increasingly competitive job markets. Click here to learn about how to order Job Searches Beyond the Big Cities.